Sponsored by Urban Creation. Hosted by Watershed. Decorated by Captain Arthur Barrel. 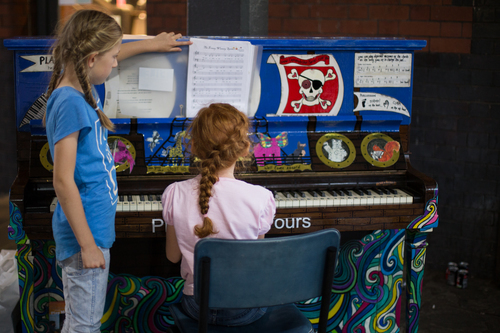 This piano is no longer available as it has been St John’s CE VC Primary School by its sponsor Urban Creation. Chap playing this one asked if i liked rachmaninov! Our lovely Eric entertaining our guides and info officers with a little early morning boogie woogie. 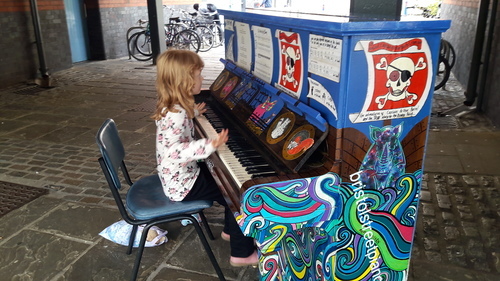 Another of Luke Jerram's brilliantly crazy ideas, #playmeimyours you can tinkle the ivories at 18 locations across the city. 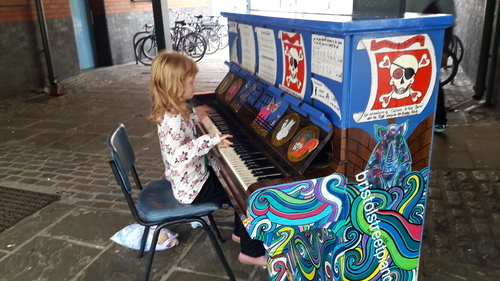 Big thanks to Jon Kelly and his team - Marc, Martin, John - at The Piano Shop Bath for all there help with our pianos - sourcing, refurbishing, tinning & repairs and delivery and collection. What a team!! 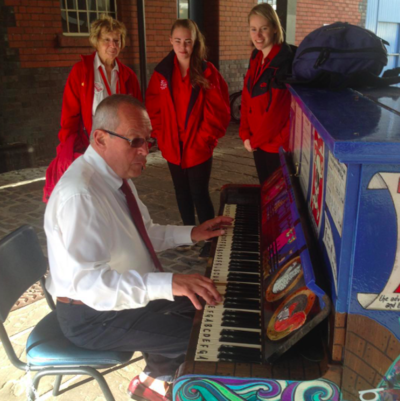 Murray, the caretaker at St. John's CE Primary School welcoming one of the #bristolstreetpianos that was kindly donated to the school by its sponsor Urban Creation. This was a very popular location with everyone stopping to have a play. I waited ages, went away, came back a few times on saturday afternoon, and waited again but still couldn't get to have a turn! Thanks Alice & friends, what a voice!